Maleny in the Blackall Range is highly thought of as the place to go for local arts & crafts. Open Sundays from 9am to 2pm in the RSL Hall opposite the pub, the markets are a good way to start a day in the Blackall Range. They also feature a great range of arts & crafts galleries, and stores. 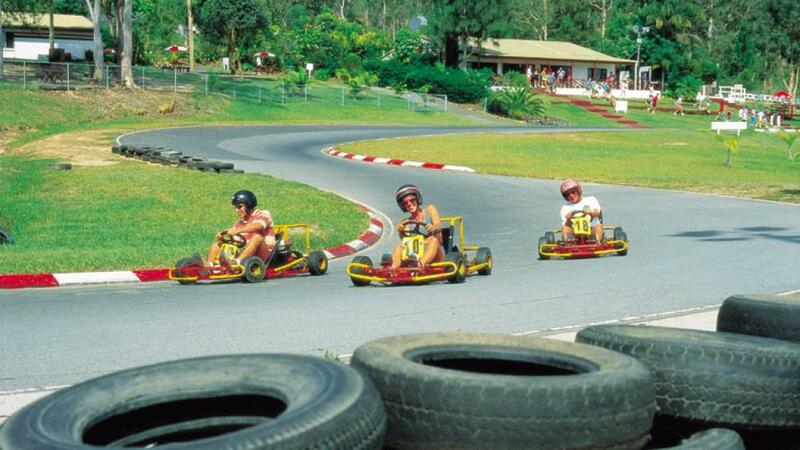 The Aussie World family fun-park is located behind the Pub on Queensland's Sunshine Coast. Set in beautiful native Australian gardens Aussie World provides over thirty rides and games and it's guaranteed to please every one of all ages. Aussie World is also home to the largest display of authentic aboriginal artefacts and souvenirs on the Sunshine Coast. Didgeridoos and authentic paintings are on display and available for sale, alongside a huge Australian themed product range. A selection of specialty shops caters for the most discerning buyer and includes locally grown and Australian made products. 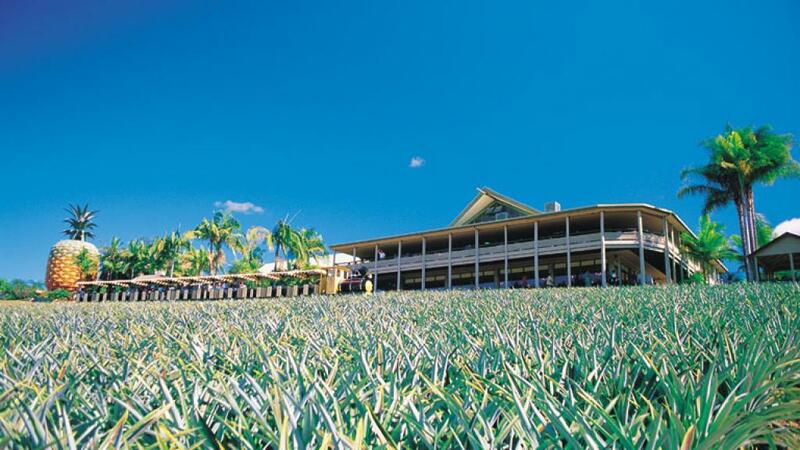 Whether you are a backpacker or a family travelling the Bruce Highway on the Sunshine Coast, Aussie World and the Pub which is located next door are a must to visit. Open 7 days a week from 9am. Don't forget to pop into Australia Zoo, the largest attraction on the Sunshine Coast and catch the crocodile show. The Sunshine Coast offers one of the most beautiful stretches of unspoiled beaches you will find anywhere. The main beaches are patrolled year round offering a safe holiday environment. Coolum, Sunshine, Dickies and Moffat beaches, as well as the bays of the Noosa National Park offer some great spots for the keen surfer. The Sunshine Coast is also host to some great surf carnivals, triathlons and marathons. The Big Pineapple is one of the most famous of Australia's BIG tourist icons along with the Big Banana at Coffs Harbour, the Big Merino at Goulburn and several more. The overgrown fibreglass pineapple, which houses a video display on tropical fruit growing, is just the front for a very well organised and popular attraction which is educational as well as entertaining. The 112 hectare plantation grows a variety of tropical fruit as well as the the very sought after macadamia nut. Fraser Island is the largest sand island in the world, 124 kilometres long and covering 163,000 hectares and rising 200 metres in parts. World Heritage listed in 1993, the northern half the island is part of the Great Sandy National Park. A place of great beauty, Fraser Island is a one-of-a-kind travel experience. It has 200 lakes, most of them perfect for swimming. Lake McKenzie, known as the mirror lake, has water clearer than your wildest imagination. 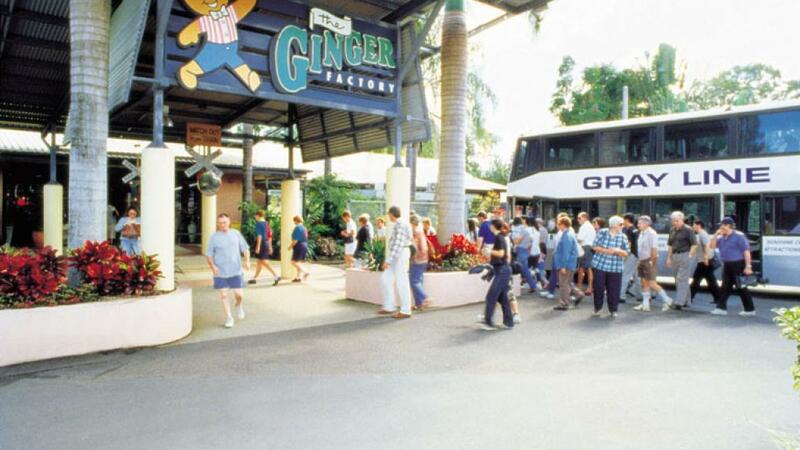 The Ginger Factory is the largest ginger processing plant in the Southern Hemisphere, some say the world, and the only one in Australia. There is an audio visual explaining the growing, processing and crystalisation of ginger, and a tour of a working ginger farm on the miniature Ginger Train. Open daily and free to visit (except for the train ride), it includes a motor museum, dolls cottage and Macadamia Kitchen. It also sells traditional herbs and scents. For some excitement get Go Karting at the Big Kart Track and experience the one and only Bungee Bullet. Both sides of Noosa's Hastings Street, are now crammed with restaurants, cafes, boutiques and luxury holiday apartments for an indulgent holiday experience. Weekend markets abound on the Sunshine Coast. Most sell local produce as well as local handcrafts, foodstuffs, apparel, novelties and bric-a-brac. But plan to get up early. The biggest (and most say the best) are the Eumundi Markets held every Saturday regardless of weather from 6am to about 1pm. More than 280 stalls set up in the main street, Memorial Drive. Others start at 7am Sundays at Maroochdore, Mooloolaba, and Caloundra. If you're the type who won't get up for anyone that early, try to Noosaville Twilight Markets held on the 3rd Friday of the month. National Parks are another attribute of this beautiful region. High above the coastal plain overlooking the surf and sand stands the magnificent Blackall Range. Offering a cool and pleasant alternative to visitors to the Sunshine Coast, this hinterland provides the Mapleton and Kondalilla National Parks with their dramatic waterfalls and beautiful walking tracks. The GlassHouse Mountains, Noosa National Park and Cooloola National Park are also a must for the nature lover. The Queensland Air Museum located at Caloundra is a real buzz for plane loving kids of all ages, this collection of mostly military aircraft and memorabilia is about the best of its kind in the country. The museum collection of 18 complete aircraft includes the oldest Douglas DC3 in Australia and examples of Sea Venom, Meteor and Sabre jets which were once the pride of Australia's Navy and Air Force. The museum is a community organisation run by volunteers, and is open daily. The Sunshine Coast offers all types of water activities including jet-skis, parasailing, yachting, fishing charters, diving, you can learn to surf take a cruise through the Maroochy Wetlands or Noosa Everglades or just relax on the many beautiful beaches.